Globally, more than 40% of Ronald McDonald House families have a premature baby. Your support means so much to these new parents who are facing so many challenges and the scariest one of all is figuring out how to stay close to their baby fighting in the NICU. 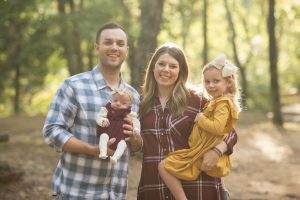 Read more about one of the families you helped, the Gordons. On April 9, 2018 our daughter Emory was born at 25 weeks weighing 1 pound, 2 ounces. We initially commuted a few hours a day but as she became more critical the commute became harder. In May, a few weeks into our NICU stay, we were given a room at the Ronald McDonald House so that we could be close to her during this time. We stayed at the Ronald McDonald House from May until she was discharged home at the end of August and I can’t even begin to tell you how big of a blessing this was for our family. 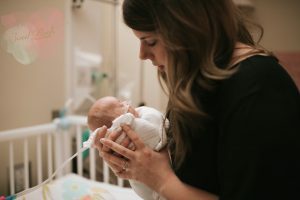 At the beginning of our NICU stay I felt so torn between home and the NICU. I spent hours in the car commuting and that was time I was missing with our daughter in the NICU and our 3-year- old daughter at home. My husband and I were juggling this crazy balancing act that was near impossible. I remember our first night at the Ronald McDonald House. It was like a weight had been lifted off my chest. I was a block away from my daughter’s hospital room and our whole family was right there together. During our four months at the Ronald McDonald house we were blessed beyond measure. It was more than just somewhere to stay. It allowed us to have family time whether it was Bingo night, Hand in Paw animal therapy, a warm dinner, or playing on the playground with our oldest daughter, Ella. She used to call the Ronald McDonald House “our new home,” and that’s exactly what it was to us: home. It was our “home-away-from-home” during the hardest time of our lives. The generosity of those serving at Ronald McDonald and those that give to allow families like ours to stay there has inspired me and made me a better person. 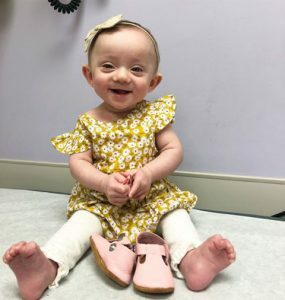 After 138 days in the NICU our daughter Emory was discharged home and I am so grateful for the way Ronald McDonald house impacted us during the time. Thank you to the Gordons for sharing their family story! 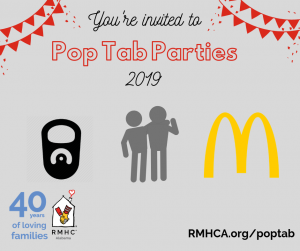 RMHCA cannot help families like them without your support so thank you to everyone who has given so far in 2019. We still have many dollars to raise for our $2.1 million budget so please consider making a donation today or giving of your time as a volunteer.